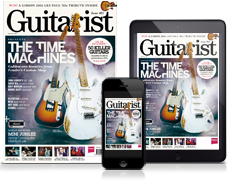 Gibson is officially on the road out of bankruptcy, after bondholders’ plans to keep the legendary guitar builder in business were approved in a US Bankruptcy Court on 2 October. 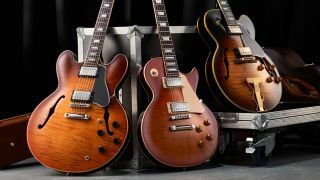 Following its Chapter 11 bankruptcy filing back in May, Gibson faced up to $500 million in debts, which have now been wiped, with up to $70 million now invested as a “business plan for growth”, according to Billboard. The company will now be run by bondholders, including Kohlberg Kravis Roberts & Co. and Melody Capital. Most significantly, CEO Henry Juszkiewicz is out of the picture, with him and co-owner Dave Berryman seeing their equity stakes cancelled. Bloomberg reports that both will receive a consulting agreement that bars them from making negative comments about Gibson. “I will continue to aid Gibson for at least a couple more years, and my mission, really, is to pass on the knowledge and the tools to allow the next generation of management to really excel and bring the brand to a whole new level,” Juszkiewicz told Guitarist recently. A new CEO has apparently been appointed but has yet to be named; new board member Nat Zillkha, head of alternative credit at KKR and musician, is keen to reestablish Gibson’s position as a musical instrument manufacturer.